Launch the software from Start » All Program » DBX Converter Wizard. 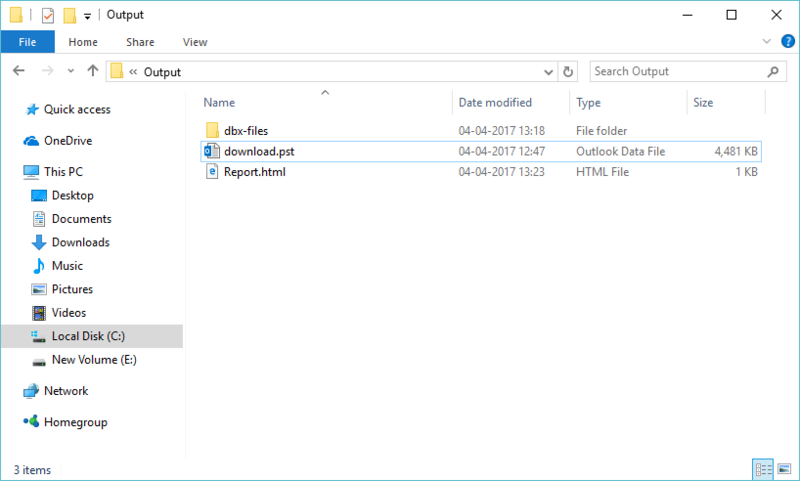 On first window click on add file button to ad dbx file. 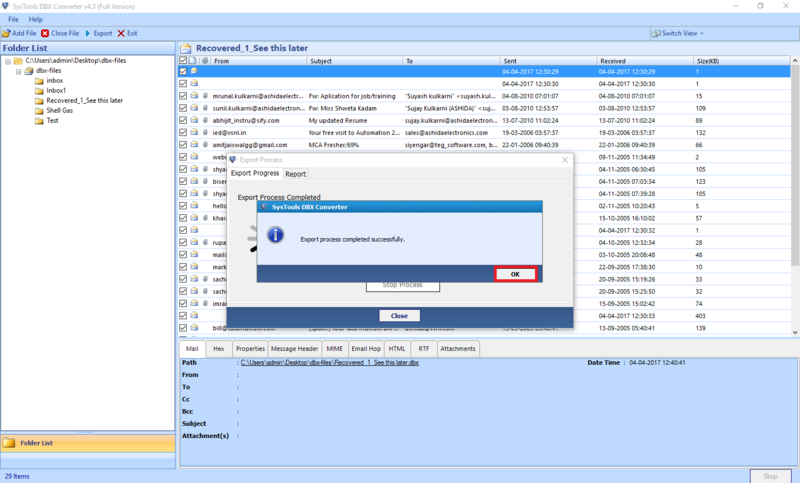 Select dbx file which you want to export. Click OK. Then click on process button. 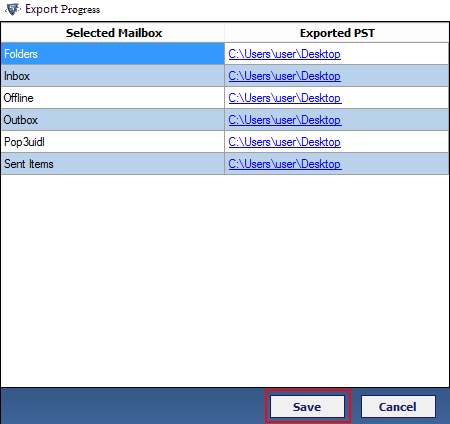 Now click on the checkbox to select the emails which you want to export. User can export emails directly by right click on it. 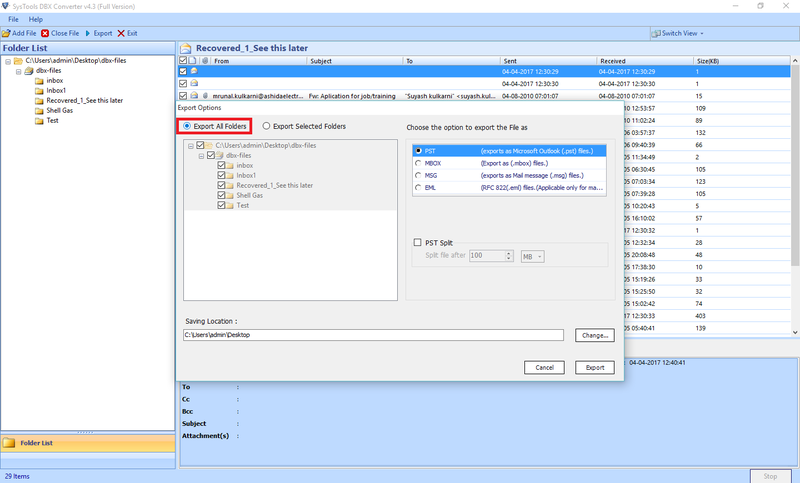 Or User can use export option given at top bar of the software. 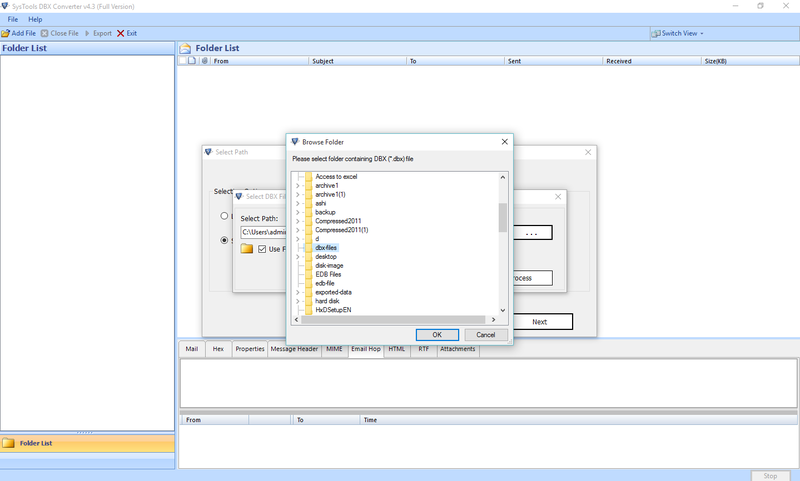 If you want to export all folder then you can select all folder options. 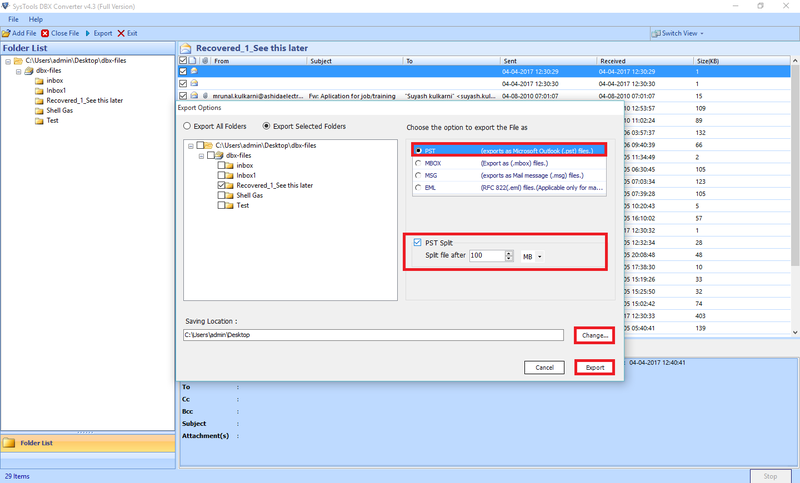 As soon as you click on export button software provide you with export options, here select the desired file format in which you to export file and check/uncheck the DBX files from folder hierarchy according to your needs. 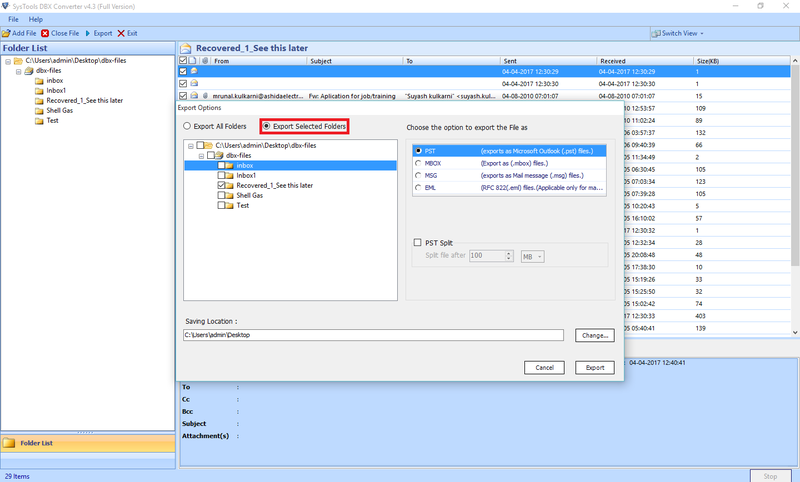 If you select PST as exported file format then software provide you with PST split option also. Then after software starts export process with folder name & count. You can also stop export process in between of the process by click on stop button. A screen will show up showing the completion of export process. After the completion of export process, save export report. Browse the location where you have saved the pst files. 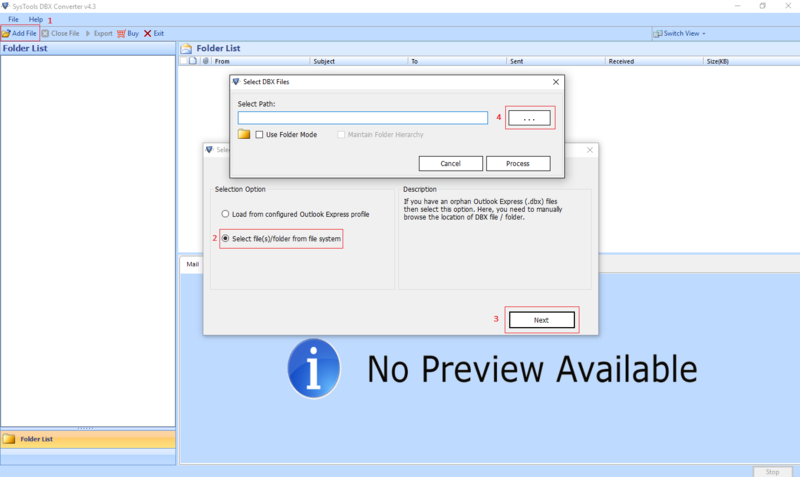 Test the exported PST file by accessing them from MS outlook 2013, 2010, 2007, 2003 versions respectively. 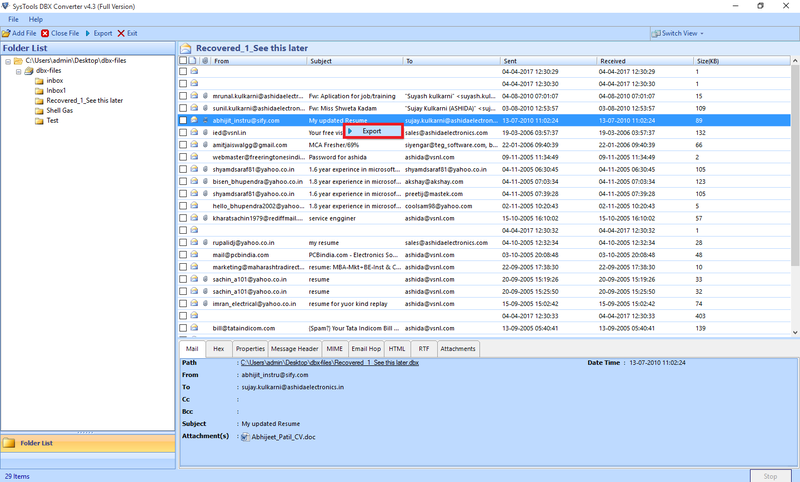 Start Outlook » Click File » Open & Export » Open Outlook Data File to open the PST file. 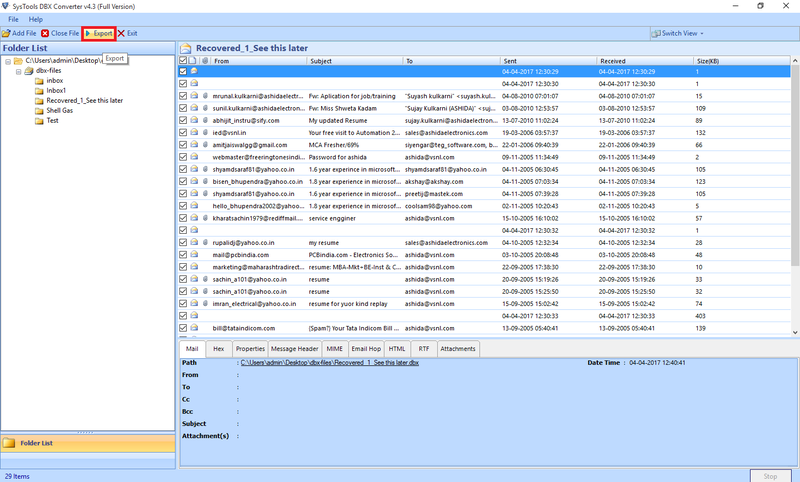 Browse for exported PST files, choose desired one and click Open button. 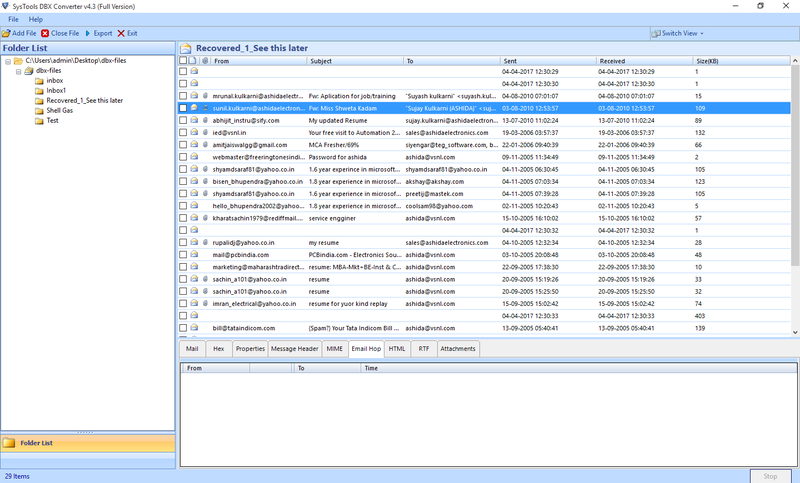 Now you can view the contents of exported PST file.